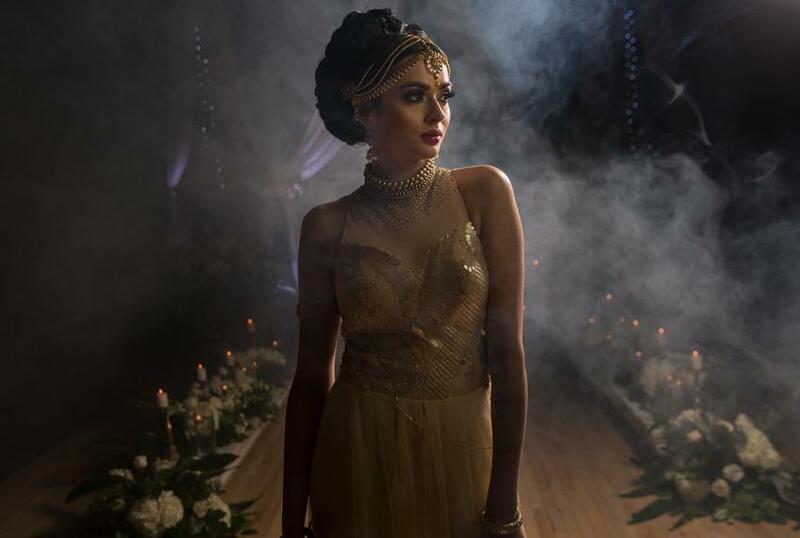 Inspired by the dark moon goddess, this editorial incorporates elements of greenery and Gold Decor used to fill the close-knit head table and intimate stage setting, An Abundance of cascading florals and dark lighting reflects the true inner goddess of every bride. 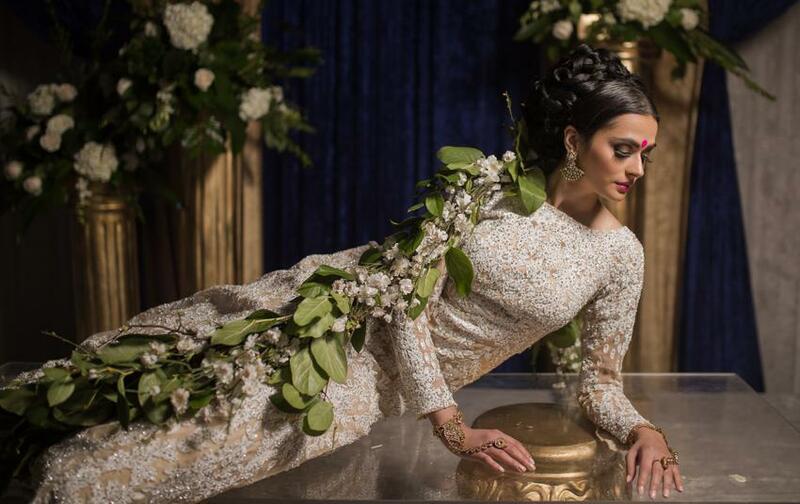 This was stylized shoot for Kismat Magazine” Truly inspired” Wedding styled shoots section. Initially, this shoot was planned outdoors. it was one cold day in the month of December so the shoot was moved indoors. Royal Ambassador in Caledon is one of our favorite location for outdoor weddings. This venue not only provides you lakeside gazebo but lavish ballrooms. 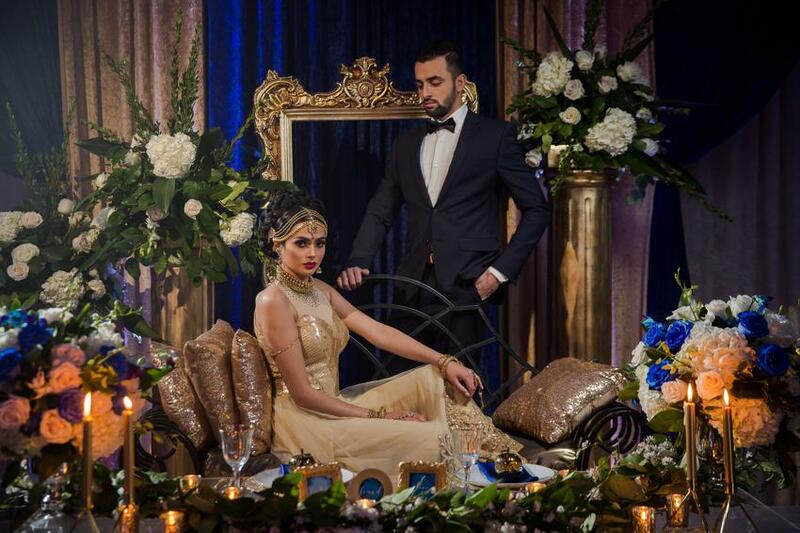 For this luxurious shoot, Royal Ambassador provided complete support to our decorators. 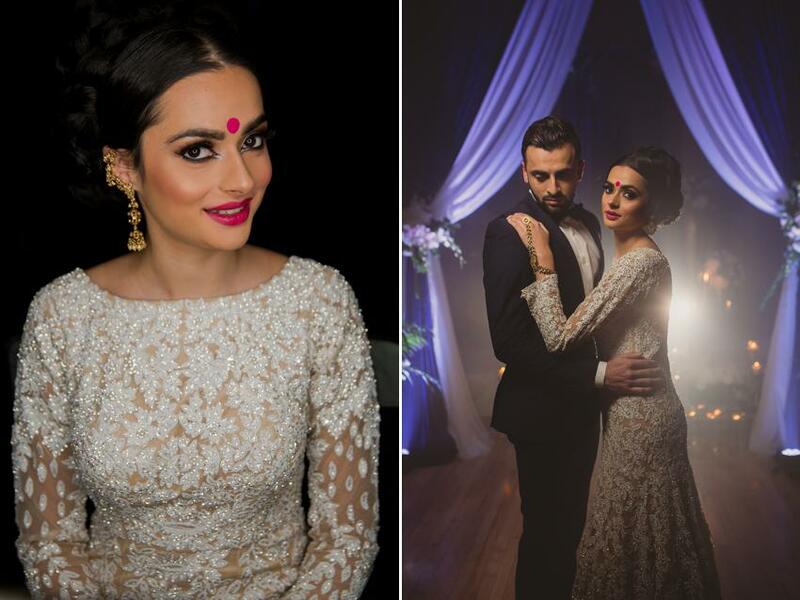 Rohit Verma is one big name in bridal wear in India and Chandan fashion is official partners for Rohit’s outfits in Toronto. By the time, Tina from Beautee Inc got Zarah ready for the shoot and set was ready. Moon Goddess theme had to be dark and moody, so we used very hard light source and a smoke machine to create that ambient light. Supriya from design mantra gave us a wonderful set to work paired with florals from DT florals. Stationary was very important part of this shoot and vibrance design prepared gold and blue inspired wedding stationary. 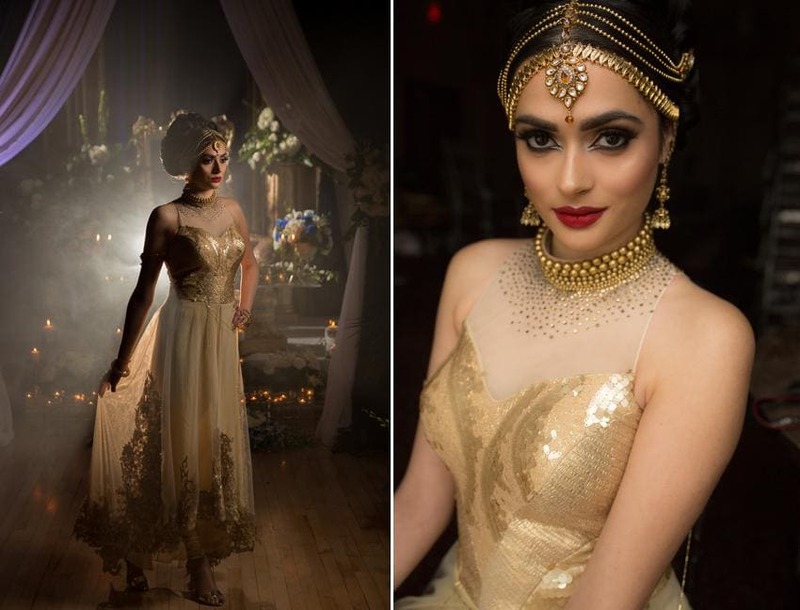 Our first bridal outfit was inspired element gold and second outfit for this shoot was inspired by silver element. 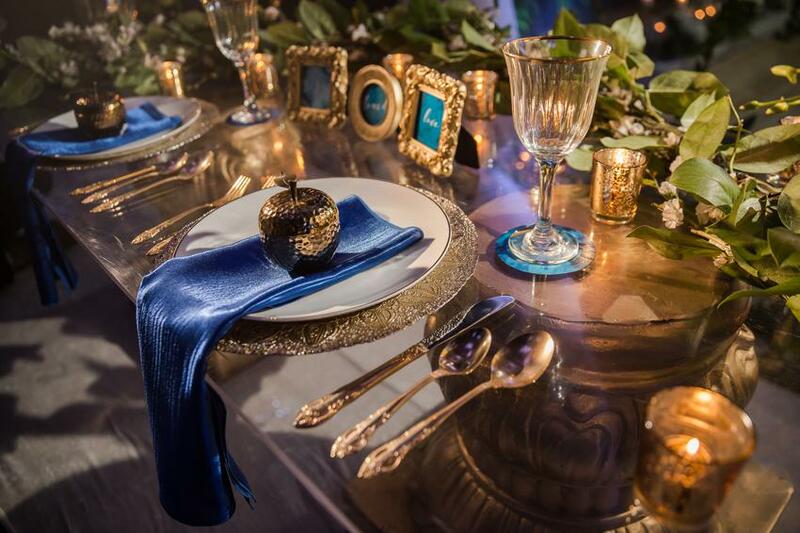 Baked by Binny prepared a lavish wedding cake inspired by colors blue, gold and whites for the moon goddess. 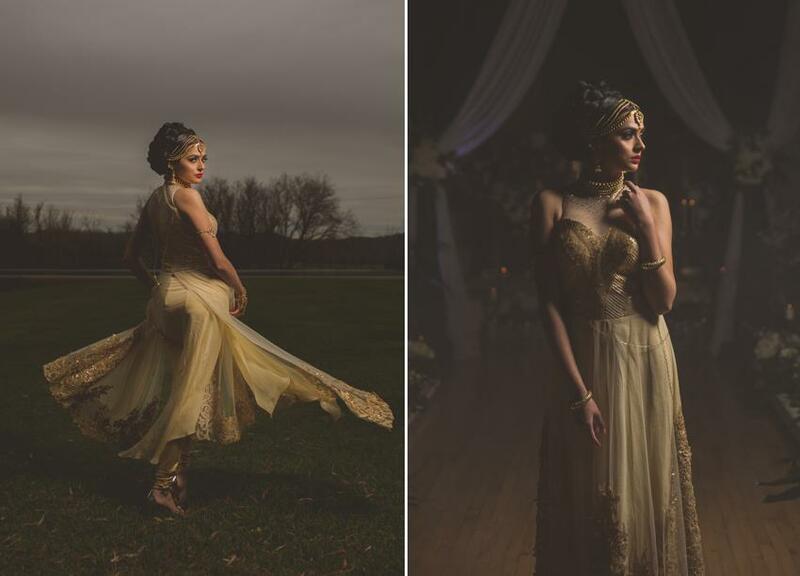 It was our pleasure to work this very talented team for Moon Goddess shoot for Kismat magazine.